If you´ve visited Mappalicious in the past, you´ll have noticed that I´m a big fan of Self-Determination Theory that was developed by Edward Deci and Richard Ryan. It shares a lot of common ground with several areas of Positive Psychology but has developed as a stand-alone body of research since the early 1980s. 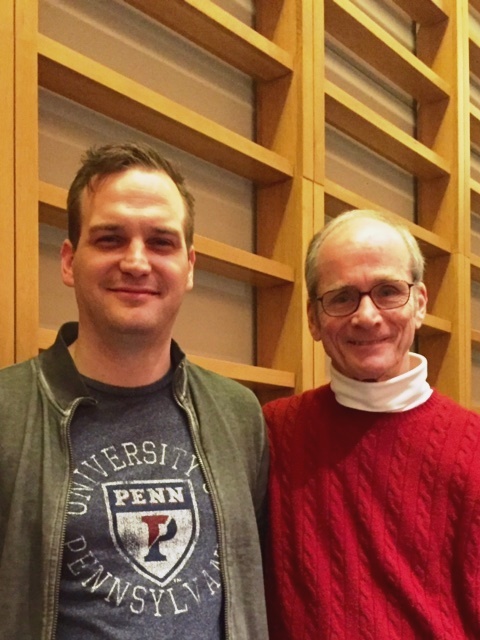 Being so enthusiastic about the topic, I was absolutely thrilled to learn that Edward Deci would be a presenter at this year´s Penn MAPP Summit. Dr. Deci was so kind to take a photo with me. I´ve twittered all throughout his lecture – so here´s a sort of best-of Self-Determination Theory in Deci´s own words and charts. Enjoy! Ed Deci at #MAPP: in self-determination theory, autonomy does not mean independence- it's about willingness. In 1998, Martin Seligman was elected president of the American Psychological Association (APA). Looking back on a fruitful career in research and teaching mostly on clinical psychology, especially the causes and treatment of depression, he had an epiphany that led to the formulation of a societal need for a positive psychology, a branch of psychology that would investigate a wide array of positive phenomena in human life, such as love, character strengths, high achievement, and in general: well-being and human flourishing. He proposed these issues should be investigated exerting the same scientific rigor that psychology has applied pertaining to negative phenomena (depression, anxiety, aggression etc.) for the first 100 years of its existence as an academic discipline. Equally, the rigorous scientific approach was meant to distinguish positive psychology from the extant self-help literature that partly expounds similar topics of interest (Seligman & Csíkszentmihályi, 2000; Seligman, 2002). how the humanities inform the practice of human flourishing and help to design interventions that are based on the insights of positive psychology. For many centuries now, mankind has taken an interest in fostering its own psychological well-being and helping its fellow human being to lead a “good life”. Long before (positive) psychology, there has been an abundance of religious and spiritual leaders (such as the Buddha and Jesus Christ), philosophers (such as Aristotle and Marcus Aurelius), and writers/poets (such as Henry David Thoreau and Antoine de Saint-Exupéry) that have disseminated their concepts of ethics and morals, character and virtues, and what leads to joy and meaning in life (McMahon, 2012). For the sake of brevity, in this section I will only describe how writers and poets have sown the seeds for extant theories in positive psychology. Telling stories is almost never done for sheer fun of it, or for objectively reporting on some occurrence. Telling stories, be it in traditional oral style, in print, or some audio-visual presentation mode, almost always has some instructive or prescriptive quality to it. Whoever creates or narrates the story typically wants to instill a change in the recipient, wants him to know or be something else when the story is over (Niles, 1999). This educational facet of storytelling can be traced through the literary history, from Homer´s “Iliad” and “Odyssey” and Aesop´s fables, to early religious accounts such as the “Upanishads” and the Bible, to medieval works such as Dante´s “Divine Comedy”, Shakespeare´s works of drama (e.g., “Hamlet”), to the early (e.g. Goethe´s “Wilhelm Meister´s Apprenticeship”) and later (e.g. Dickens´s “Great Expectations”) “Bildungsroman” – all the way up to 20th century masterpieces such as de Saint-Exupéry “Little Prince” and New Age classics along the lines of Bach´s “Jonathan Livingston Seagull” or Coelho´s “Alchemist”. Oftentimes, this educational element is conveyed by carefully depicting the protagonists´ lifestyles – in order to then confront the recipient with the outcomes of these modes of existence. By way of example, both Leo Tolstoy´s “The Death of Ivan Ilych” (1886/2010) and Willa Cather´s “Neighbour Rosicky” (1932/2010) try to educate the reader (among other things) on the value of and human need for close relationships. While Cather portrays the distinctly positive outcomes of understanding that “no man is an island”, Tolstoy´s narrative describes Ivan Ilyich as a human being that literally dies of social and emotional isolation. So, while both stories do not contain any “how-to advice” such as modern self-help books, it remains unequivocal that they try to convey some underlying and implicit understanding of human well-being, that they represent a prescription for “a life well-lived”. As such, they can be likened to a kind of ideographic research, case-studies, a deep-dive into the personal experience of human beings as individuals (Jorgensen & Nafstad, 2004). Positive psychologists can draw on these sources to generate hypotheses about the general nature of human well-being (nomothetic research). They can take those extant descriptions and prescriptions, abstract and turn them into verifiable scientific hypotheses, and conduct large-scale and longitudinal empirical research to see if they turn out to be valid propositions. Sei dennoch unverzagt! Gib dennoch unverloren! Weich keinem Glücke nicht, steh höher als der Neid, vergnüge dich an dir und acht es für kein Leid, hat sich gleich wider dich Glück, Ort und Zeit verschworen. Was dich betrübt und labt, halt alles für erkoren; nimm dein Verhängnis an. Laß alles unbereut. Tu, was getan muß sein, und eh man dir’s gebeut. Was du noch hoffen kannst, das wird noch stets geboren. Was klagt, was lobt man noch? Sein Unglück und sein Glücke ist ihm ein jeder selbst. Schau alle Sachen an: dies alles ist in dir. Laß deinen eitlen Wahn, und eh du fürder gehst, so geh in dich zurücke. Wer sein selbst Meister ist und sich beherrschen kann, dem ist die weite Welt und alles untertan. express gratitude (Sheldon & Lyubomirsky, 2006) and avoid feelings of envy and regret (Fredrickson, 2004). All the aforementioned concepts can by now be considered “mainstream positive psychology”, as they are to a varying degree and scope building blocks of Seligman´s PERMA framework of human flourishing (2012). And while I am in some doubt whether the founding fathers of positive psychology have really been inspired by a German poet from the a 17th century, I am positively sure would they very much agree with what the latter had to say. As described in the introductory section, positive psychologists stress the importance of empirical research to back the claims made by this still rather new branch of psychology. While it might not be as apparent and straightforward as the insights from the first section of this paper, the humanities can also help to increase the quality of research in positive psychology. For instance, positive psychologists could draw on methods from philosophy to either improve existing methods within the field, or introduce largely new methods. By way of example, methods from hilosophy can help positive psychology researchers to create better constructs and thus, questionnaires by engaging in conceptual clarification of central notions and frameworks in the field. Pawelski (2012) demonstrates how one of the core concepts in positive psychology, namely, the notion of “the positive” may still be severely underspecified. When the discipline was founded at the onset of the third millennium, it was not really clear what the term “positive” in positive psychology is actually referring to. 15 years later, science has made at least some progress pertaining to that question. Based on philosophical inquiry, Pawelski (2012) points out that the “positive” in positive psychology cannot just be the absence of something negative. Well-being cannot be explained by looking at what is not there (e.g., unhappiness, mental illness) – it has to look for something that is there in its own right. In her essay, Tiberius (2012) tries to show how unique methods from philosophy can be introduced to the field of positive psychology to gain deeper insights into some topic of inquiry. For example, she demonstrates how the specific use of “intuition pumps” (short educational thought experiments) can shed valuable insight into functioning of human decision-making and moral reasoning. Schneider (2001) ultimately reminds positive psychologists not to be too sure of themselves when talking about the results of their research or judging the results of others. She insists that our perceptions and thus, knowledge, are necessarily characterized by a considerable degree of fuzziness – with all the benefits and disadvantages this entails. To that effect, philosophy can help positive psychology to stay humble – but also hungry for more knowledge. Man has been described – among many other analogies – as the “cultural animal” (Baumeister, 2005). Most people expose themselves to parts of our “cultural achievements” (music, books/writing, art, theater/films, spiritual rites etc.) on a daily basis. By way of example, listening to music is a pervasive element of most people´s lives.In a study using experiencing sampling, a method where subjects are to record what they do in their lives at certain intervals, it was found that music was present in 37% percent of the samples. Additionally, the researchers found that this exposure to music influenced the emotional state of the listeners in 67% of these events, and that this influence was oftentimes induced by the listeners on purpose, e.g., as a means to lift their mood (Juslin, Liljeström, Västfjäll, Barradas, & Silva, 2008). While other cultural practices are used for the same reasons (and several other “positive motives”) as well*, in light of this paper´s limited scope, I will concentrate on the question of how (and via which mechanisms) music may contribute to our psychological well-being. Listening to music can lift our mood, has been shown to alleviate psychological stress as well as physical pain, and to contribute to our overall well-being (Västfjäll, Juslin, & Hartig, 2012). This may be a consequence of the uplifting effect of listening to music, but could also be a byproduct of its social aspect, since it is often performed and listened to in the presence of other human beings (MacDonald, Kreutz, & Mitchell, 2012). Additionally, making and listening to music is able to induce flow (Csikszentmihalyi, 1996). For all these reasons, it is also used in a wide array of psychotherapeutic settings (Västfjäll, Juslin, & Hartig, 2012). improve our self-esteem and build confidence. In another study by Campion and Levita (2014), just five minutes of light dancing (alone) improved lateral thinking abilities of managers at work, and decreased their symptoms of fatigue. In this sense, listening to music (and additionally, dancing) could very well be described as a positive intervention in its own right. It´s cheap, it´s available almost all over the planet, and – there are virtually no side effects. Of course, it´s important to keep in mind that different people display different tastes in music. Accordingly, Västfjäll, Juslin, and Hartig (2012) explain that the (beneficial) effect of music has to be understood as an interaction effect between the musical stimulus and its recipient: “Thus, there are no “pure” effects of music that will invariably occur regardless of the specific listener or situation. 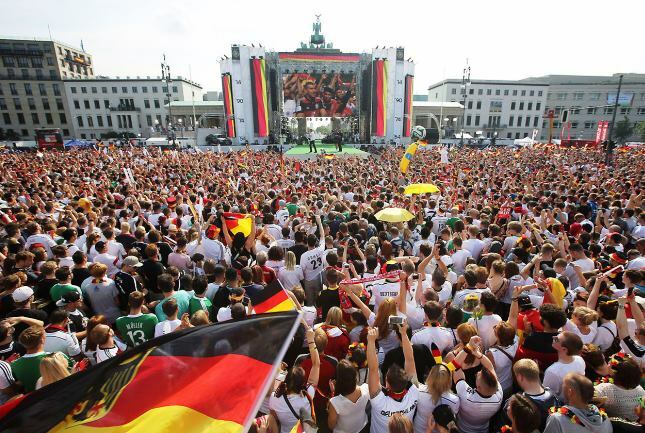 The response will depend on factors such as the listener´s music preferences and previous experiences, as well as on the specific circumstances of the context” (p. 408). Yet, assuming that most people are able and willing to choose what music they listen to at most times in their lives, it becomes clear that it is a potent ingredient of a life well-lived. To close this section, I´d like to describe how I intend to use the extant knowledge on the connection of the humanities and well-being in my future professional life. I have been working as a management and life coach since 2008. Early on, I developed the habit of prescribing some homework to my clients in-between sessions. Once in a while, I would prescribe watching a film for inspiration, or seeding a certain idea (e.g., “The Kid” starring Bruce Willis, for the notion that it is possible to change our past; or rather, its emotional valence) by re-framing and re-evaluating certain experiences. To that effect, I also knew of the existence of “cinematherapy”, a rather recent branch of psychotherapy that utilizes the exposure to movies as a means to support the treatment of psychological disorders such as depression (Sharp, Smith, & Cole, 2002). All the more, I´ve been delighted to learn that positive psychology has also taken to this mode of delivery, namely in the form of Niemiec and Wedding´s (2008) tome “Positive psychology at the movies: Using films to build virtues and character strengths”. Over the upcoming months, I will read the book and watch as many films therein as possible to experience their impact – so as to build up my reservoir of movies to prescribe to my coaching clients. I am sure this will become a valuable addition to my “coaching toolbox”. The objective of this essay was to demonstrate how insights from the humanities have influenced theories on the antecedents and characteristics of human flourishing, how the humanities help to refine research in this area, and how the humanities inform the practice of positive psychology and help to design beneficial positive interventions. I have pursued this objective by explaining how many of the core ideas in positive psychology can be traced back through our (literary) history, by showing how philosophy can improve research methods in that field as well as the “talk” about that research, and by illustrating how music can be used as an “active ingredient” in positive interventions. Metaphorically speaking, positive psychology is still a very young tree, but it is a sapling with strong and far-reaching roots. These roots can be traced back in time looking into the realms of music, art, religion, philosophy, as well as oral, written, and audio-visual storytelling. In order to continue growing and ultimately becoming a strong and mighty tree, it´s of uttermost importance to get to know, acknowledge, and to treasure these roots. 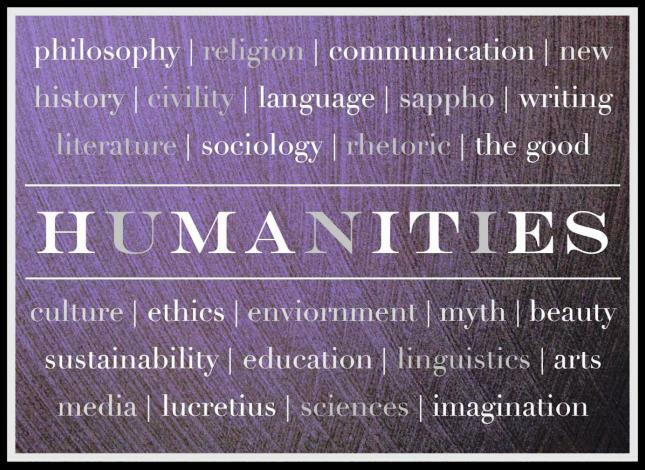 Mindfully exposing ourselves to the different manifestations of the humanities is such an approach to honor the roots of positive psychology. Baumeister, R. F. (2005). The cultural animal: Human nature, meaning, and social life. New York: Oxford University Press. Campion, M., & Levita, L. (2014). Enhancing positive affect and divergent thinking abilities: Play some music and dance. Journal of Positive Psychology, 9(2), 137-145. Cather, W. (2010). “Neighbor Rosicky.” In Obscure destinies (pp. 1-38). Oxford, UK: Oxford City Press. (Original work published in 1932). Costello R. B. (1984): Random House Webster’s College Dictionary. New York: Random House. Csikszentmihalyi, Mihály. (1996). Creativity: Flow and the psychology of discovery and invention. New York: Harper Collins. de Botton, A., & Armstrong, J. (2013). Art as Therapy. London: Phaidon Press. de Solla Price, D. J. (1986). Little science, big science… and beyond. New York: Columbia University Press. Duckworth, A. L., & Seligman, M. E. (2005). Self-discipline outdoes IQ in predicting academic performance of adolescents. Psychological Science, 16(12), 939-944. Fredrickson, B. L. (2004). Gratitude, like other positive emotions, broadens and builds. In R. A. Emmons & M. E. McCullough (Eds. ), The psychology of gratitude (pp. 145–166). New York: Oxford University Press. Gove, P. B. (1971). Webster’s Third New International Dictionary of the English Language: Unabridged. Springfield: G. and C. Merriam Company. MacDonald, R., Kreutz, G., Mitchell, L. (2012). What is music, health, and wellbeing and why is it important? In R. MacDonald, G. Kreutz, & L. Mitchell (Eds. ), Music, health and wellbeing (pp. 3-11). Oxford: Oxford University Press. McMahon, D. M. (2012). The pursuit of happiness in history. In I. Boniwell & S. Davis (Eds. ), Oxford handbook of happiness (pp. 80-93). Oxford: Oxford University Press. Niles, J. D. (1999). Homo narrans. The poetics and anthropology of oral literature. Philadelphia: University of Pennsylvania Press. Pargament, K. I. (2002). The bitter and the sweet: An evaluation of the costs and benefits of religiousness. Psychological Inquiry, 13(3), 168-181. Pawelski, J. O. (2012): Happiness and its Opposites. In I. Boniwell & S. Davis (Eds. ), Oxford handbook of happiness (pp. 326-336). Oxford: Oxford University Press. Pawelski, J. O., & Moores, D. J. (2012). The Eudaimonic Turn: Well-being in Literary Studies. Lanham: Rowman & Littlefield. Quiroga Murcia, C., Kreutz, G., Clift, S., & Bongard, S. (2010). Shall we dance? An exploration of the perceived benefits of dancing on well-being. Arts & Health, 2(2), 149-163. Seligman, M. E. P. (2012). Flourish: A visionary new understanding of happiness and well-being. New York: Free Press. Seligman, M. E., & Schulman, P. (1986). Explanatory style as a predictor of productivity and quitting among life insurance sales agents. Journal of Personality and Social Psychology, 50(4), 832-838. Sharp, C., Smith, J. V., & Cole, A. (2002). Cinematherapy: Metaphorically promoting therapeutic change. Counselling Psychology Quarterly, 15(3), 269-276. Tangney, J. P., Baumeister, R. F., & Boone, A. L. (2004). High self‐control predicts good adjustment, less pathology, better grades, and interpersonal success. Journal of Personality, 72(2), 271-324. Tiberius, V. (2012). Philosophical Methods in Happiness Research. In I. Boniwell & S. Davis (Eds. ), Oxford handbook of happiness (pp. 315-325). Oxford: Oxford University Press. Tolstoy, L. (2010). The death of Ivan Ilych. New York: SoHo Books. (Original work published in 1886). Västfjäll, D., Juslin, P. N, Hartig, T. (2012). Music, subjective wellbeing, and health: The role of everyday emotions. In R. MacDonald, G. Kreutz, & L. Mitchell (Eds. ), Music, health and wellbeing (pp. 405–423). Oxford: Oxford University Press. * Please refer to Pargament (2002) for an overview of the connection of religious practices and well-being, to de Botton and Armstrong (2013) for a framework of how people use art to cultivate flourishing, to Niemiec and Wedding (2008) on the use of story-telling (especially movies) for building character strengths, and Pawelski and Moores (2012) for a treatise on the “eudaimonic turn” in literary studies. Be yet still undeterred! Accept yet still no loss! Bend to no bad luck’s blow, stand higher than ill will. Take joy, you, in yourself and think it is no woe. If all against you – luck, place and time – have sworn. That which afflicts or cheers, hold all as predesigned. Take what your fate declares. Let there be no regret. Do what must now be done, ere one dispatches you. What you can hope for still, that will yet still be born. Why wails, why lauds one still? One’s hardships and one’s luck, Is each one for himself. Examine every thing; This all is within you. Discard your fond illusion. And, ere you further step, go back into yourself. Who his own master is and keeps himself in check. He o’er the outspread world and all things there does reign. In that sense, it has some shared meaning with the English figure of speech “different strokes for different folks”. While I am writing these sentences, there´s a portrait of Michael Wendler on TV, a leading protagonist of German “Schlagermusik”, a particularly corny, banal, uniform, and (to my ears) horrible style of pop music that sells really well and is played at most parties at some point or the other. For the most part of my life, I have enjoyed music that is often considered to be at the opposite end of the musical spectrum: heavy metal. In this essay, I would like to muse about this phenomenon: Why are people drawn to different kinds of music (and art in general) – and what does this phenomenon have to say about human well-being? The question of how to lead a good life is a very old one. Religious leaders, philosophers, authors and laymen alike have tried to find answers to this mystery. At earlier stages of this quest, it was mostly put into question that feeling happy and experiencing positive emotions is an essential part of a life well-lived. Yet, with the appearance of the Enlightenment (at the latest), the pursuit of happiness can be seen as a central element of this overall endeavor (McMahon, 2008). Nowadays, there is convincing scientific evidence for the link between positive emotions and (psychological) well-being (Fredrickson, 2001). For at least as long as people have pondered on the meaning of human life – and the question if (and how) the pursuit of happiness can play a role in finding the right answers – they have immersed themselves in art. Primitive forms of musical instruments, paintings, and pieces of stoneware have appeared at least 30,000 years before our time. Nowadays, due to its easy and ubiquitous availability, music may be the most widespread form of art (at least it seems to be most widely used). In a study using experiencing sampling, a method where subjects are to record what they do in their lives at certain intervals, it was found that music was present in 37% percent of the samples; and that this music influenced the emotional state of the listeners in 67% of these events (Juslin, Liljeström, Västfjäll, Barradas, & Silva, 2008). The last-mentioned number hints to a possible explanation for the immense pervasiveness of music: it is a potent means for regulating affect. Listening to music can lift our mood, alleviate psychological stress as well as physical pain, and contribute to our overall well-being (Västfjäll, Juslin, & Hartig, 2012). This may be a consequence of the uplifting effect of listening to music, but could also be a byproduct of its social aspect, since it is often performed and listened to in the presence of other human beings (MacDonald, Kreutz, & Mitchell, 2012). Additionally, making and listening to music is able to induce flow (Csikszentmihalyi, 1996). For all these reasons, it is also used in a wide array of psychotherapeutic settings (Västfjäll, Juslin, & Hartig, 2012). and visual imagery evoked by a piece of music. Since different people obviously have different nervous systems (e.g., in terms of responsivity and sensibility) it seems self-evident that they should react more or less favorably to varying styles of music. Maybe, it is not even a choice that we make consciously. Can we really choose what style(s) of music we are attracted to? People’s reactions to opera the first time they see it is very dramatic; they either love it or they hate it. If they love it, they will always love it. If they don’t, they may learn to appreciate it, but it will never become part of their soul. lyrics that are oftentimes based fantasy and sci-fi topoi. I remember my parents saying that heavy metal would be a “phase” I was going through – but so far, time has proved them wrong. I still love it and probably will do so until the end of this life. Of course I do listen to other music. I went to an opera premier of “Don Giovanni” in March of 2013, and I also enjoyed listening to Tschaikowski and other Russian composers when we went to an evening at the Philadelphia Philharmonic Orchestra as part of the MAPP program in January 2014 – but honestly speaking, classical music will (most likely) never captured my heart the way that heavy metal has done. I know that one can learn to appreciate classical music in the same way that one has to learn how to appreciate good wine – but to me, that´s not the same as “falling in love” with a particular style of music. As a consequence, I feel we should be careful to make (too) strong judgments about other people´s taste in music (and art in general). Ever so often, many ways lead to Rome. I oppose to the distinction that is often made between “serious music” (sometimes called “art music”) and the more “popular” styles of music that also comprise heavy metal. The aspect of seriousness is inherent in the listener, not the music itself. One can listen to Mozart carelessly – while savoring heavy metal and thereby displaying a great amount of mindfulness. The garden of the Lord is vast and plentiful. In order to find happiness, I believe, we must find our personal parcel of land in that garden – and then start to cultivate it. Arnett, J. (1992). The Soundtrack of Recklessness Musical Preferences and Reckless Behavior among Adolescents. Journal of Adolescent Research, 7(3), 313-331. Csikszentmihalyi, Mihály (1996). Creativity: Flow and the psychology of discovery and invention. New York: Harper Collins. Gowensmith, W. N., & Bloom, L. J. (1997). 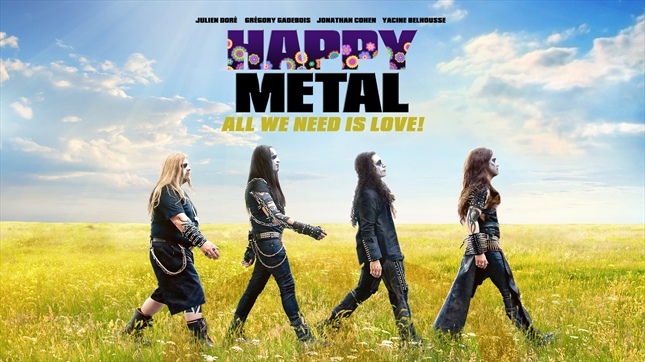 The effects of heavy metal music on arousal and anger. Journal of Music Therapy, 34, 33-45. Juslin, P. N., Liljeström, S., Västfjäll, D., Barradas, G., & Silva, A. (2008). An experience sampling study of emotional reactions to music: listener, music, and situation. Emotion, 8(5), 668-683. King, P. (1988). Heavy metal music and drug abuse in adolescents. Postgraduate Medicine, 83(5), 295-301. Marshall, G. (1990): Pretty Woman [Film]. Los Angeles, Touchstone Pictures. McMahon, D. M. (2008). The pursuit of happiness in history. In M. Eid & R. J. Larsen (Eds), The science of subjective well-being (pp. 80-93). New York: Guilford Press. Scheel, K. R., & Westefeld, J. S. (1999). Heavy metal music and adolescent suicidality: An empirical investigation. Adolescence, 34, 253–273. Sottile, Leah (2013). Finding happiness in angry music. * Mostly though, the phrase will be accompanied by an incredulous shake of the head, thereby signifying that, at the end of the day, one´s own taste is to be valued higher. Art as Therapy: Is Mindfulness the Active Ingredient? For the sake of forthrightness, let me first say that I feel anything but self-confident and adept to write this essay. I have sort of bumbled through art classes in high-school, and I´ve avoided going to museums as effectively as possible all my life. 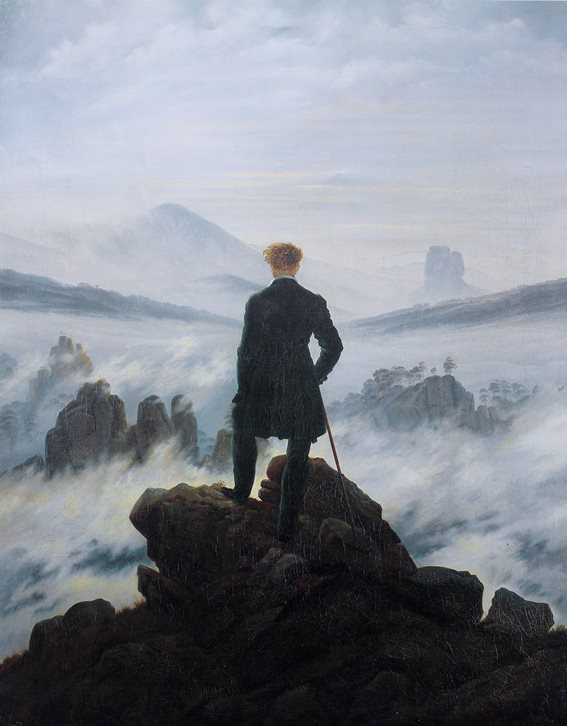 I´ve liked art – if at all – based on its aesthetic-appealing quality (my favorite painting probably is Caspar David Friedrich´s “Wanderer above the Sea of Fog”) which most likely makes me a cretin in the eyes of every true lover of art. This being the case, I have to say I enjoyed reading de Botton and Armstrong´s (2013) oeuvre “Art as Therapy” due to the fact that it helped me to “get a grip” on that somewhat impalpable subject. It provided me with a functional set of tools to approach a painting, something which I clearly lacked so far. So, drawing on de Botton and Armstrong´s insights (which will be described in the following section) I would like to argue that exposing ourselves to works of art can enhance our well-being, and additionally help to understand the underlying nature of well-being by providing opportunities to exercise our capacity for mindfulness. Creating art has been used as a mode of psychotherapy (or at least: part of a set of different interventions) for quite a while now, especially aiming at relieving the suffering from trauma and anxiety disorders. While it remains somewhat unclear how making art is helping people to cope with difficult experiences in their lives (Kapitan, 2012), meta-analyses show that art therapy seems to be able to help people with several different psychological disorders – even if effect sizes remain rather small (Reynolds, Nabors, & Quinlan, 2000; Slayton, D’Archer, & Kaplan, 2010). Therefore, de Botton and Armstrong´s book is by far not the only book by the name of “Art as Therapy”. Yet, when taking a closer look, it becomes clear that the authors do not aim at describing “art therapy” as a means to helping a clinical population. Rather, they want to provide tools for our personal development, for finding a “medicine” for our everyday human frailties. Specifically, de Botton and Armstrong (2013) list seven human frailties – and additionally describe how exposing ourselves to art can serve to remedy maladies. I will briefly define them here. In the absence of supporting scientific literature for this specific take on art, I´ve looked up matching quotes* from a wide array of artists and writers that point towards the same set of insights. Forgetting. The human mind is prone to forgetting – be it everyday things or really important lessons of life. As such, art can be a way of remembering and keeping memories alive. Pessimism. We often underestimate the amount of goodness in our lives and, conversely, overestimate the prevalence of bad events. The beauty of (some) art can help us to remember and appreciate what is right with human existence – it can act as a source of hope. Despair. We sometimes tend to feel separated from all other human beings, believing that our joys, but particularly our suffering, is agonizingly unique. Art connects us to the rest of mankind by displaying that (and how) a certain amount of suffering is a normal (and maybe even: necessary) element of the human condition. Disintegration. Oftentimes, we think of ourselves as monadic entities, forgetting about the fragmentation of the human mind and soul, and that we are a process rather than a steady state. Art can help us to reacquaint with that fractal and ever-changing character of our existence. Personal Blind Spots. We do not know many things about ourselves. And quite naturally, we do not know what we don´t know. Art can help us to raise our self-awareness by serving as a mirror that reflects more that can be seen when solely looking at the person that stands in front of that mirror. Comfort Zone. We like to stay in our comfort zone, exposing ourselves to things that we already know, and people that are similar to us – thereby avoiding the risk of being taken by surprise. Exposing ourselves to art can lead us off the beaten track, guide us to find uncharted territory, thereby providing opportunities for personal growth and individuation. Ennui. We tend to take the things (and people) in our lives for granted. Even awe-inspiring wonders of nature or magnificent works of architecture and technology can lose their magic when we fail to appreciate them in a condignly fashion. Works of art can revive that process of due appreciation, awe, and wonder. When we forget something important in our lives, we are not mindful of what we (used to) know. When we are overly pessimistic, we are not mindful of all that gives us a reason to hope. When we give in to despair, we are not mindful of the true nature of human existence. When we are overly sure of who we are, we are not mindful of the fuzziness and fluidity of “the self” – and what we could be instead. When we only look at what we like, we are not mindful of what we dislike in ourselves. When we always stay close to our comfort zone, we are not mindful of the possibilities and beauty that may lie beyond. When we don´t appreciate the wonder of (human) life and everything it entails, we are not mindful of the improbability (and potentially: uniqueness) of it all. By now I´ve realized that art can be a powerful teacher. Visiting the Barnes Foundation in Philadelphia and spending more than an hour with just one painting (in my case: “Unpleasant Surprise” by Henri Rousseau; see below) has strikingly shown me how I can use art to cultivate my capacity for mindfulness. But maybe it takes a really good to teacher in the first place to appreciate art as a teacher. Kapitan, L. (2012). Does art therapy work? Identifying the active ingredients of art therapy efficacy. Art Therapy, 29(2), 48-49. Reynolds, M. W., Nabors, L., & Quinlan, A. (2000). The effectiveness of art therapy: Does it work? Art Therapy, 17(3), 207-213. Slayton, S. C., D’Archer, J., & Kaplan, F. (2010). Outcome studies on the efficacy of art therapy: A review of findings. Art Therapy, 27(3), 108-118. *All quotes found via http://www.brainyquotes.com. **Mindfulness is “commonly defined as the state of being attentive to and aware of what is taking place in the present” (Brown & Ryan, 2003, p. 822) and is associated with a wide array of desirable psychological outcomes (Grossman, Niemann, Schmidt, & Walach, 2004). I´ve visited the center of the earth. I´ve travelled 20.000 leagues under the sea. And I´ve toured around the world in 80 days. Three times, actually. And most of that journeying happened while sitting in the bathtub of my parent´s home. When I was a kid, I used to be a semi-professional tennis player. Upon returning home after long weekends of tournaments, I would head straight to my parent´s bathroom and into the bathtub – to stay there for hours and hours, until my skin would be all shriveled. Most of the times, my companion (and therefore, first literary love) would be Jules Verne, or rather, those heavy editions with linen covers of Verne´s most famous novels that my grandpa gave to my father – and my father to me. Ever since that time, I have been an enthusiastic reader. My taste in books changed, obviously. In came Stephen King, Jostein Gaarder, Nick Hornby, Douglas Adams, and even Joanne K. Rowlings Harry Potter, among others. And out they went again. For several years now, I have been reading non-fiction for the most part. 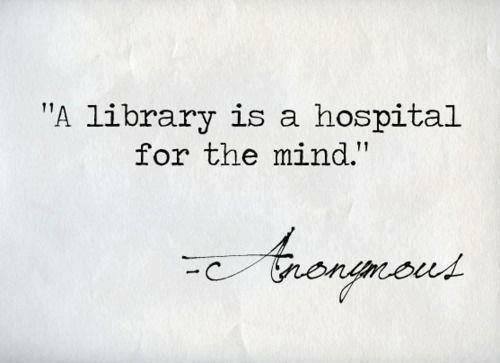 But the pleasure of reading remains. For me, it is an act of uttermost hedonic value. But that is not what this essay is all about. Instead, I will try to convey how literature informs our understanding of (psychological) well-being, and how reading and writing can have a therapeutic effect and build psychological acumen and resiliency. There are many descriptions and analogies for the unique quality of the human race. Common wisdom from biology holds that we are “homo sapiens (sapiens)”, the knowing (or discerning) man (Semino, Passarino, Oefner, Lin, Arbuzova, Beckman, …, & Underhill, 2000). But that is by far not the only description for the “pride of creation”. There are researchers who argue the most important feature that distinguishes man from his mammalian ancestors is our ability to create, remember, and narrate stories – that we are “homo narrans”: the story-telling men (Niles, 1999). Through the narration of stories, man used to recollect and still does recollect his own history, interprets it, and transfers it to the future generation(s), thereby shaping Hegel´s “world spirit” that strives to recognize itself (Hegel, 1822). But storytelling is almost never done for sheer fun of it, or for objectively reporting was has been before. Telling stories, be it in traditional oral style, in print, or some audio-visual presentation mode, almost always has some instructive, some prescriptive quality to it. Whoever creates or narrates the story oftentimes wants to instill a change in the recipient, wants him to know or even be something else when the story is over. This educational facet of storytelling can be traced all the way through the literary history, from Homer´s “Iliad” and “Odyssey” and Aesop´s fables, to early religious accounts such as the “Upanishads” and the Bible, to medieval works such as Dante´s “Divine Comedy”, Shakespeare´s works of drama (e.g., “Hamlet”), to the early (e.g. Goethe´s “Wilhelm Meister´s Apprenticeship”) and later (e.g. Dickens´s “Great Expectations”) “Bildungsroman” – all the way up to 20th century masterpieces such as de Saint-Exupéry “Little Prince” and New Age classics along the lines of Bach´s “Jonathan Livingston Seagull” or Coelho´s “Alchemist”. Oftentimes, this educational element is conveyed by carefully depicting the protagonists´ lifestyles – in order to then confront the recipient with the outcomes of these modes of existence. By way of example, both Leo Tolstoy´s “The Death of Ivan Ilych” (1886/2010) and Willa Cather´s “Neighbour Rosicky” (1932/2010) try to educate the reader (among other things) on the value of and human need for close relationships. While Cather portrays the distinctly positive outcomes of understanding that “no man is an island”, Tolstoy´s narrative describes Ivan Ilyich as a human being that literally dies of social and emotional isolation. So, while both stories do not contain any “how-to advice” such as modern self-help books, it remains unequivocal that they try to convey some underlying and implicit understanding of human well-being, that they represent a prescription for “a life well-lived”. A special and utmost important kind of story is the story that we tell about ourselves – to ourselves and other people. On that note, psychotherapy has long since discovered the importance of stories and story-telling. It´s not for nothing Freud´s Psychoanalysis is frequently referred to as a “talking cure”. More and more evidence emerges for the notion that being able to convey a coherent and meaningful account of one´s life is a fundamental building block of psychological well-being (Baerger & McAdams 1999). This idea is not only part of the academic literature, but also an important element of pop culture such as the “connecting the dots” element in Steve Jobs´ hugely popular Stanford Commencement Address (2005). By now, there exists a multitude of ways that stories and storytelling are consciously imbedded into the psychotherapeutic process. By way of example, the branch of “Narrative Therapy” (Monk, Winslade, Crockett, & Epston, 1997) distinctly focuses on those (life) stories that a client brings into the therapeutic setting. Taking on another angle, Cinematherapy (Sharp, Smith, & Cole, 2002) and Bibliotherapy (Cuijpers, 1997) use the potential healing power of existing works of literature, poetry, and film to sow the seed for desirable changes in clients´ mental models and, subsequently, behavioral patterns. Taking on a more active approach, Writing Therapy (Pizarro, 2004) offers relief for patients suffering from severe stress and psychological trauma through the act of writing one´s own account of those stressful events. While the raw facts, the objective events that happened in the past, cannot be altered any more, it is very much possible to change once rational and emotional perception of that same past. It is absolutely possible to “come to terms” with one´s life history, e.g., by consciously creating mental distance to it, by altering its emotional valence, or retroactively finding a deeper meaning in what happened to us earlier (Pennebaker, 1997). Especially the act of discovering a heightened sense of meaning and purpose in life – which is a sign of post-traumatic growth (Tedeschi & Calhoun, 2004) – seems to have very beneficial on our psychological well-being (Singer, 2004). But the favorable outcomes of writing are not limited to the stories of our past. Some psychologists, especially in the emerging field of Positive Psychology (Seligman & Csikszentmihalyi, 2000), stress the importance of (possible) future events for our well-being. Seligman, Railton, Baumeister, and Sripada (2013) describe the human species as beings that are drawn by the future rather than being driven by the past. As such, actively engaging in the creation of a desirable future is a sign of optimal psychological functioning. On that note, positive psychologists have tried to create interventions that help to consciously facilitate the process of optimistic prospection. One of these interventions is based on visualizing and writing about one´s “best possible self” – where subjects are instructed to “imagine yourself in the future, after everything has gone as well as it possibly could” (Sheldon & Lyubomirsky, 2006, p. 77). Doing this regularly has shown to boost satisfaction with life and an optimistic mindset, among other things – even beyond the time of actively carrying out the exercise. Andrews, D. H., Hull, T. D., & Donahue, J. A. (2009). Storytelling as an instructional method: Definitions and research questions. Interdisciplinary Journal of Problem-based Learning, 3(2), 6-23. Baerger, D. R., & McAdams, D. P. (1999). Life story coherence and its relation to psychological well-being. Narrative Inquiry, 9(1), 69-96. Cather, W. (2010). Neighbor Rosicky. In Obscure destinies (pp. 1-38). Oxford, UK: Oxford City Press. (Original work published in 1932). Cuijpers, P. (1997). Bibliotherapy in unipolar depression: A meta-analysis. Journal of Behavior Therapy and Experimental Psychiatry, 28(2), 139-147. Hegel, G. W. F. (1822). The philosophy of history. New York: Dover Publications. Lang, J. S., & Trimble, P. (1988). Whatever happened to the Man of Tomorrow? An examination of the American monomyth and the comic book superhero. Journal of Popular Culture, 22(3), 157-173. Monk, G.,Winslade, J., Crockett, K., & Epston, D. (Eds.). (1997). Narrative therapy in practice: The archaeology of hope. San Francisco: Jossey-Bass. Pennebaker, J. W. (1997). Writing about emotional experiences as a therapeutic process. Psychological Science, 8(3), 162-166. Seligman, M. E., Railton, P., Baumeister, R. F., & Sripada, C. (2013). Navigating into the future or driven by the past. Perspectives on Psychological Science, 8(2), 119-141. Semino, O., Passarino, G., Oefner, P. J., Lin, A. A., Arbuzova, S., Beckman, L. E., … & Underhill, P. A. (2000). The genetic legacy of paleolithic homo sapiens sapiens in extant Europeans: AY chromosome perspective. Science, 290(5494), 1155-1159. Singer, J. A. (2004). Narrative identity and meaning making across the adult lifespan: An introduction. Journal of Personality, 72(3), 437-460. Tedeschi, R. G., & Calhoun, L. G. (2004). Posttraumatic Growth: Conceptual Foundations and Empirical Evidence. Psychological Inquiry, 15(1), 1-18. Vaughan, S. C. (1997). The talking cure: the science behind psychotherapy. New York: Putnam and Sons. *That phrase is most commonly attributed to Novelist Tom Robbins. Header picture taken from the Facebook fan page of Random House, Inc.